If you think you're good at coming up with imaginative emoji combinations, think again! The Emoji-to-English Dictionary challenges you to step up your game with more than 100 phrases that will have you ROFL. 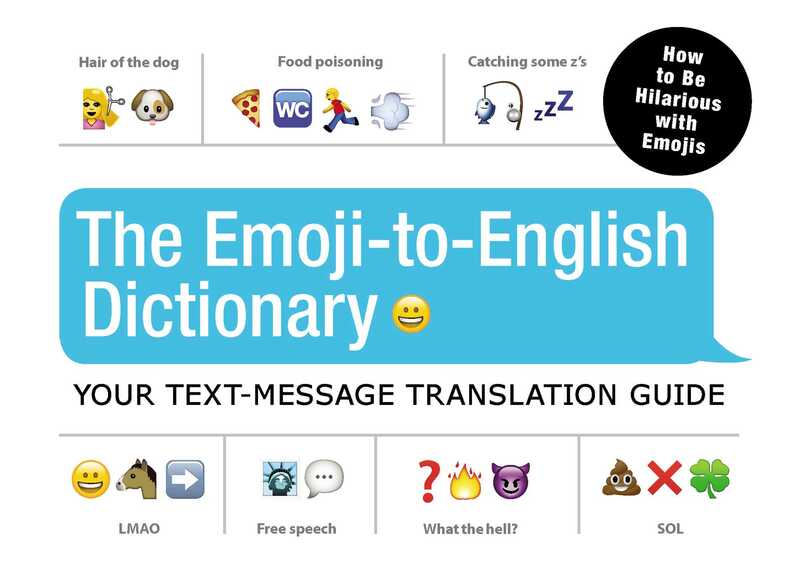 This unique guide gives you the lowdown on the most hilarious and unexpected emoji phrases around. Divided by topic, each chapter translates dozens of emoji combinations into plain ol' English, so that you can quickly incorporate them into your messages--and even brainstorm crazy one-liners of your own! Complete with illustrations of each emoji phrase, The Emoji-to-English Dictionary provides you with the tools you need to truly master the world of emojis.